Can I ombré my dark brown hair using just bleach? 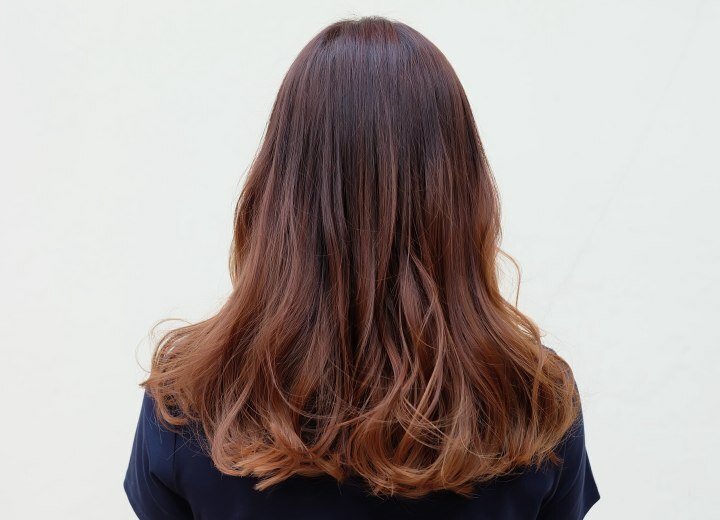 Q: Can I ombré my dark brown hair using just bleach? A: An ombré coloring is usually dark roots that blend slowly and gradually into light colored ends. You can achieve this look with numerous shades and you can be as bold or subtle as you wish. The style could be black roots, medium brown mid lengths, and blonde colored ends. Or the look you are going for can be dark blonde roots that slowly fade into platinum, pale colored ends. So it really depends on what type of fade you are looking for. If you want more of a dramatic ombré, leave the bleach on your dark brown hair for as long as you can to really lift up the ends and make them as light as possible. 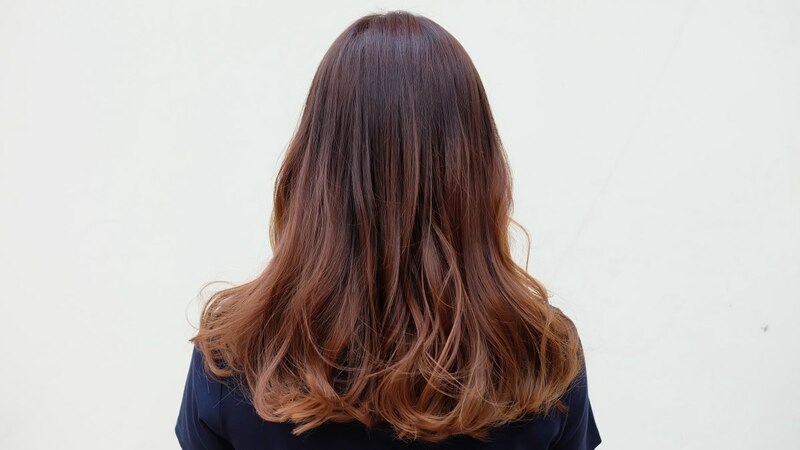 If you want more of a caramel color on the ends then leave the bleach on until it reaches a darker, warmer hue than a light blonde. Another great technique is to bleach about 2/3 of the ends of hair – then wash, rinse and dry and then repeat the bleaching process on just the bottom 1/3 (the tips) of your hair. This gives a more gradual fading effect. The result will be dark brown roots, medium brown middle, and blonde ends. This ombré style is very popular right now and is a great low-maintenance choice. The challenge with using just bleach to create the ombré effect is that bleach has zero toning ability. This means that whatever color you reach with the bleach will be the final color. Bleached out tones can look orange or yellow and brassy at best. You may want a softer, more natural shade that you just can’t achieve with bleach alone. To solve the brassy dilemma, a demi-permanent color should be applied to cancel out the unwanted orange or yellowy tones. You should also keep in mind your application technique when using bleach. You want to saturate the hair thoroughly to lift up all the hair strands evenly. It also helps to zig-zag your application line so the result is more of a soft fade than a harsh bleached out line on your strands. Whenever you color your hair it is best to consult a professional before using chemicals on your hair!